Exeter-based Lightfoot®, the multi award-winning connected car technology provider responsible for cutting fuel bills and CO2 emissions in vans and cars across the UK, has been recognised for its innovative use of technology in no less than two major industry awards. 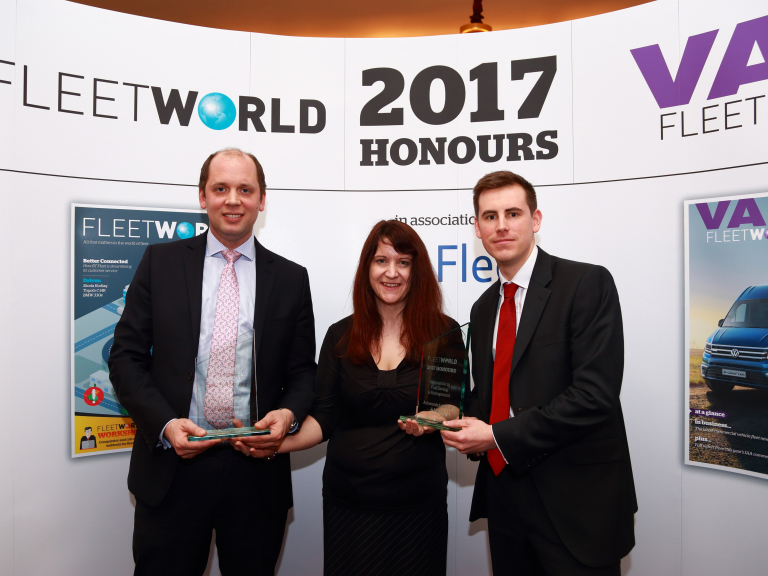 On Tuesday (21 February), Lightfoot won gold for ‘Industry Innovation in Fuel Saving and Management’ at the Fleet World 2017 Honours Awards. This follows on from a gold in the US where Lightfoot, in partnership with digital security company Gemalto, won top honours in the Connected Transport category at the IoT Evolution Awards. The IoT award was presented in recognition of the success of its groundbreaking Exeter private driver bevahiour trial, which has resulted in a tonne of CO2 being cut in the city each week. Tuesday’s award was presented to the team at the glittering Fleet World ceremony held at the RAC Club in London. The award itself came in recognition of Lightfoot’s collaboration with Allianz Insurance, one of the world’s top three insurance companies, which has been promoting Lightfoot to its customers. As the official risk management partner to Allianz Insurance, Lightfoot’s revolutionary in-cab technology has been encouraging drivers to adopt a more efficient driving style, cutting both fuel consumption and CO2 by up to 20% while reducing claims frequency by up to 40% and claims values by up to 60%. According to the judging panel the entry was a case of two businesses coming together and solving an issue using technology and forward thinking, which then had other impressive consequences. The judges went on to say that Allianz used the Lightfoot technology to mitigate risk, but also found that by driving more carefully, not only did accidents go down, but the fuel savings were significant too. “We're really pleased that Fleet World has recognised this partnership and that Allianz were the first insurer to recognise the power of Lightfoot to create better drivers. We’re delighted to have partnered with Lightfoot, and for the work to have been recognised by Fleet World demonstrates our commitment to using new technologies to help our customers. Whilst we approached the partnership from a driver safety perspective, we are pleased to see fleet customers achieve a welcome reduction in fuel consumption and reduce their emissions at the same time. The attached picture shows (left to right) Martin Kadhim, Director in charge of Partnerships at Lightfoot, being presented with the Fleet World Honours ‘Industry Innovation in Fuel Saving and Management’ award by Natalie Middleton, Fleet World business editor, alongside Jonathon Gray, Senior Commercial Motor Underwriter, Allianz Insurance Plc.